When Confederate troops fired on Fort Sumter in April of 1861, Walt Whitman declared it "the volcanic upheaval of the nation"-the bloody inception of a war that would dramatically alter the shape and character of American culture along with its political, racial, and social landscape. Prior to the war, America's leading writers had been integral to helping the young nation imagine itself, assert its beliefs, and realize its immense potential. When the Civil War erupted, it forced them to witness not only unimaginable human carnage on the battlefield, but also the disintegration of the foundational symbolic order they had helped to create. The war demanded new frameworks for understanding the world and new forms of communication that could engage with the immensity of the conflict. It fostered both social and cultural experimentation. 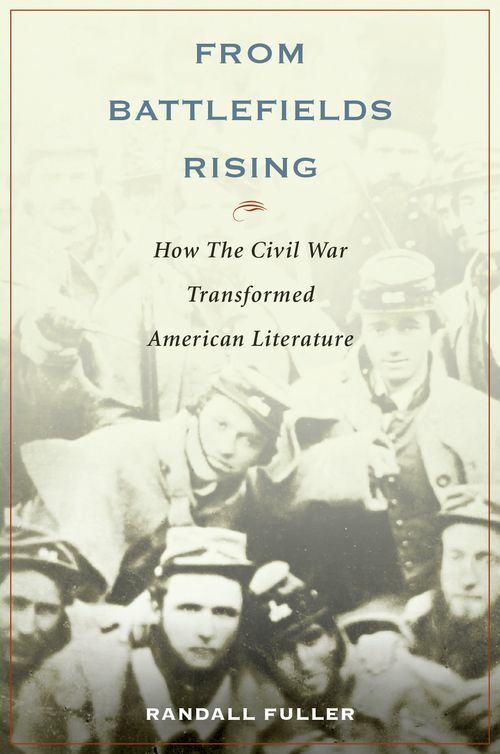 From Battlefields Rising explores the profound impact of the war on writers including Walt Whitman, Ralph Waldo Emerson, Herman Melville, Nathaniel Hawthorne, Emily Dickinson, and Frederick Douglass. As the writers of the time grappled with the war's impact on the individual and the national psyche, their responses multiplied and transmuted. Whitman's poetry and prose, for example, was chastened and deepened by his years spent ministering to wounded soldiers; off the battlefield, the anguish of war would come to suffuse the austere, elliptical poems that Emily Dickinson was writing from afar; and Hawthorne was rendered silent by his reading of military reports and talks with soldiers. Calling into question every prior presumption and ideal, the war forever changed America's early idealism-and consequently its literature-into something far more ambivalent and raw. Sketching an absorbing group portrait of the period's most important writers, From Battlefields Rising flashes with forgotten historical details and elegant new ideas. It alters previous perceptions about the evolution of American literature and how Americans have understood and expressed their common history. Randall Fuller is the Chapman Professor of English at the University of Tulsa.